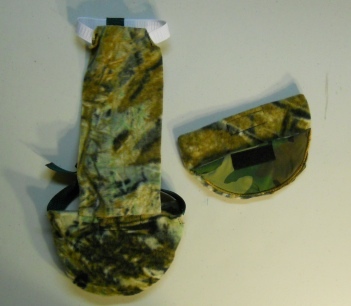 THIS SET IS MADE FOR A TONGUE IN CHEEK, "Iz Hidin", "Iz invisible", cute Camo Prints. PLEASE NOTE! The two photos are of the same Diaper Holder, the lighting was different and the shades look different, they are not. Sorry about that. Also, Camo Print Fabrics are expensive, that is why this set costs a bit more than my others. 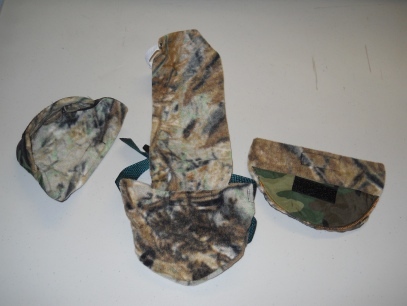 This Goose Diaper Holder Harness is made with Cute Camo Print Polar Fleece, backed with a waterproof fabric and it is oh so cute. It has a small ring for a light weight leash with a small hook. 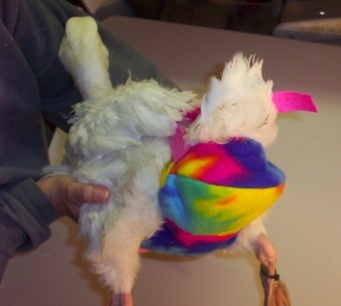 This Goose Diaper Holder can be lined with a sanitary napkin, a human baby diaper, a folded newspaper page or other folded papers.